This article is about the Japanese poetic form. For haiku poetry written in English, see Haiku in English. For other uses, see Haiku (disambiguation). The essence of haiku is "cutting" (kiru). This is often represented by the juxtaposition of two images or ideas and a kireji ("cutting word") between them, a kind of verbal punctuation mark which signals the moment of separation and colours the manner in which the juxtaposed elements are related. Traditional haiku often consist of 17 on (also known as morae though often loosely translated as "syllables"), in three phrases of 5, 7, and 5 on, respectively. Modern Japanese haiku (現代俳句, gendai-haiku) are said by some to increasingly vary from the tradition of 17 on or taking nature as their subject. Despite the western influence, the use of juxtaposition continues to be honored in both traditional and modern haiku. There is a common, although relatively recent, perception that the images juxtaposed must be directly observed everyday objects or occurrences. In Japanese, haiku are traditionally printed in a single vertical line while haiku in English often appear in three lines parallel to the three phrases of Japanese haiku. Previously called hokku, haiku was given its current name by the Japanese writer Masaoka Shiki at the end of the 19th century. In Japanese haiku a kireji, or cutting word, typically appears at the end of one of the verse's three phrases. A kireji fills a role somewhat analogous to a caesura in classical western poetry or to a volta in sonnets. Depending on which cutting word is chosen, and its position within the verse, it may briefly cut the stream of thought, suggesting a parallel between the preceding and following phrases, or it may provide a dignified ending, concluding the verse with a heightened sense of closure. The fundamental aesthetic quality of both hokku and haiku is that it is internally sufficient, independent of context, and will bear consideration as a complete work. The kireji lends the verse structural support, allowing it to stand as an independent poem. The use of kireji distinguishes haiku and hokku from second and subsequent verses of renku; which may employ semantic and syntactic disjuncture, even to the point of occasionally end-stopping a phrase with a sentence-ending particle (終助詞, shūjoshi). However, renku typically employ kireji. In English, since kireji have no direct equivalent, poets sometimes use punctuation such as a dash or ellipsis, or an implied break to create a juxtaposition intended to prompt the reader to reflect on the relationship between the two parts. The kireji in the Bashō examples "old pond" and "the wind of Mt Fuji" are both "ya" (や). Neither the remaining Bashō example nor the Issa example contain a kireji although they do both balance a fragment in the first five on against a phrase in the remaining 12 on (it may not be apparent from the English translation of the Issa that the first five on mean "Edo's rain"). In comparison with English verse typically characterized by syllabic meter, Japanese verse counts sound units known as "on" or morae. Traditional haiku consist of 17 on, in three phrases of five, seven and five on respectively. Among contemporary poems teikei (定型 fixed form) haiku continue to use the 5-7-5 pattern while jiyuritsu (自由律 free form) haiku do not. One of the examples below illustrates that traditional haiku masters were not always constrained by the 5-7-5 pattern. Although the word "on" is sometimes translated as "syllable", one on is counted for a short syllable, two for an elongated vowel or doubled consonant, and one for an "n" at the end of a syllable. Thus, the word "haibun", though counted as two syllables in English, is counted as four on in Japanese (ha-i-bu-n); and the word "on" itself, which English-speakers would view as a single syllable, comprises two on: the short vowel o and the moraic nasal n̩. This is illustrated by the Issa haiku below, which contains 17 on but only 15 syllables. Conversely, some sounds, such as "kyo" (きょ) may look like two syllables to English speakers but are in fact a single on (as well as a single syllable) in Japanese. In 1973, the Haiku Society of America noted that the norm for writers of haiku in English was to use 17 syllables, but they also noted a trend toward shorter haiku. Shorter haiku are very much more common in 21st century English haiku writing. While some translators of Japanese poetry infer that about 12 syllables in English approximate the duration of 17 Japanese on. A haiku traditionally contains a kigo, a word or phrase that symbolizes or implies the season of the poem and which is drawn from a saijiki, an extensive but prescriptive list of such words. Kigo are often in the form of metonyms and can be difficult for those who lack Japanese cultural references to spot. The Bashō examples below include "kawazu", "frog" implying spring, and "shigure", a rain shower in late autumn or early winter. Kigo are not always included in non-Japanese haiku or by modern writers of Japanese "free-form" haiku. Hokku is the opening stanza of an orthodox collaborative linked poem, or renga, and of its later derivative, renku (or haikai no renga). By the time of Matsuo Bashō (1644–1694), the hokku had begun to appear as an independent poem, and was also incorporated in haibun (a combination of prose and hokku), and haiga (a combination of painting with hokku). In the late 19th century, Masaoka Shiki (1867–1902) renamed the standalone hokku to haiku. The latter term is now generally applied retrospectively to all hokku appearing independently of renku or renga, irrespective of when they were written, and the use of the term hokku to describe a stand-alone poem is considered obsolete. In the 17th century, two masters arose who elevated haikai and gave it a new popularity. They were Matsuo Bashō (1644–1694) and Ueshima Onitsura [ja] (1661–1738). Hokku is the first verse of the collaborative haikai or renku, but its position as the opening verse made it the most important, setting the tone for the whole composition. Even though hokku had sometimes appeared individually, they were always understood in the context of renku. The Bashō school promoted standalone hokku by including many in their anthologies, thus giving birth to what is now called "haiku". Bashō also used his hokku as torque points[clarification needed] within his short prose sketches and longer travel diaries. This subgenre of haikai is known as haibun. His best-known work, Oku no Hosomichi, or Narrow Roads to the Interior, is counted as one of the classics of Japanese literature and has been translated into English extensively. Bashō was deified by both the imperial government and Shinto religious headquarters one hundred years after his death because he raised the haikai genre from a playful game of wit to sublime poetry. He continues to be revered as a saint of poetry in Japan, and is the one name from classical Japanese literature that is familiar throughout the world. The next famous style of haikai to arise was that of Yosa Buson (1716–1783) and others such as Kitō, called the Tenmei style after the Tenmei Era (1781–1789) in which it was created. Buson is recognized as one of the greatest masters of haiga (an art form where the painting is combined with haiku or haikai prose). His affection for painting can be seen in the painterly style of his haiku. No new popular style followed Buson. However, a very individualistic, and at the same time humanistic, approach to writing haiku was demonstrated by the poet Kobayashi Issa (1763–1827), whose miserable childhood, poverty, sad life, and devotion to the Pure Land sect of Buddhism are evident in his poetry. Issa made the genre immediately accessible to wider audiences. Masaoka Shiki (1867–1902) was a reformer and modernizer. A prolific writer, even though chronically ill during a significant part of his life, Shiki disliked the 'stereotype' of haikai writers of the 19th century who were known by the deprecatory term tsukinami, meaning 'monthly', after the monthly or twice-monthly haikai gatherings of the end of the 18th century (in regard to this period of haikai, it came to mean 'trite' and 'hackneyed'). 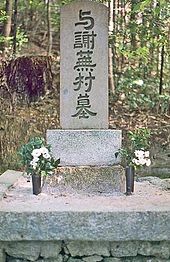 Shiki also criticized Bashō. Like the Japanese intellectual world in general at that time, Shiki was strongly influenced by Western culture. He favored the painterly style of Buson and particularly the European concept of plein-air painting, which he adapted to create a style of haiku as a kind of nature sketch in words, an approach called shasei (写生, "sketching from life"). He popularized his views by verse columns and essays in newspapers. Hokku up to the time of Shiki, even when appearing independently, were written in the context of renku. Shiki formally separated his new style of verse from the context of collaborative poetry. Being agnostic, he also separated it from the influence of Buddhism. Further, he discarded the term "hokku" and proposed the term haiku as an abbreviation of the phrase "haikai no ku" meaning a verse of haikai, although the term predates Shiki by some two centuries, when it was used to mean any verse of haikai. Since then, "haiku" has been the term usually applied in both Japanese and English to all independent haiku, irrespective of their date of composition. Shiki's revisionism dealt a severe blow to renku and surviving haikai schools. The term "hokku" is now used chiefly in its original sense of the opening verse of a renku, and rarely to distinguish haiku written before Shiki's time. Haibun is a combination of prose and haiku, often autobiographical or written in the form of a travel journal. Haiga is a style of Japanese painting based on the aesthetics of haikai, and usually including a haiku. Today, haiga artists combine haiku with paintings, photographs and other art. The carving of famous haiku on natural stone to make poem monuments known as kuhi (句碑) has been a popular practice for many centuries. The city of Matsuyama has more than two hundred kuhi. for a pillow on my journey. Although there were further attempts outside Japan to imitate the "hokku" in the early 20th century, there was little understanding of its principles. Early Western scholars such as Basil Hall Chamberlain (1850–1935) and William George Aston were mostly dismissive of hokku's poetic value. One of the first advocates of English-language hokku was the Japanese poet Yone Noguchi. In "A Proposal to American Poets," published in the Reader magazine in February 1904, Noguchi gave a brief outline of the hokku and some of his own English efforts, ending with the exhortation, "Pray, you try Japanese Hokku, my American poets!" At about the same time the poet Sadakichi Hartmann was publishing original English-language hokku, as well as other Japanese forms in both English and French. In France, haiku was introduced by Paul-Louis Couchoud around 1906. Couchoud's articles were read by early Imagist theoretician F. S. Flint, who passed on Couchoud's ideas to other members of the proto-Imagist Poets' Club such as Ezra Pound. Amy Lowell made a trip to London to meet Pound and find out about haiku. She returned to the United States where she worked to interest others in this "new" form. Haiku subsequently had a considerable influence on Imagists in the 1910s, notably Pound's "In a Station of the Metro" of 1913, but, notwithstanding several efforts by Yone Noguchi to explain "the hokku spirit", there was as yet little understanding of the form and its history. R. H. Blyth was an Englishman who lived in Japan. He produced a series of works on Zen, haiku, senryū, and on other forms of Japanese and Asian literature. In 1949, with the publication in Japan of the first volume of Haiku, the four-volume work by Blyth, haiku were introduced to the post-war English-speaking world. This four-volume series (1949–52) described haiku from the pre-modern period up to and including Shiki. Blyth's History of Haiku (1964) in two volumes is regarded as a classical study of haiku. Today Blyth is best known as a major interpreter of haiku to English speakers. His works have stimulated the writing of haiku in English. In 1958, An Introduction to Haiku: An Anthology of Poems and Poets from Bashô to Shiki by Harold G. Henderson was published by Doubleday Anchor Books. This book was a revision of Henderson's earlier book titled The Bamboo Broom (Houghton Mifflin, 1934). After World War II, Henderson and Blyth worked for the American Occupation in Japan and for the Imperial Household, respectively, and their shared appreciation of haiku helped form a bond between the two. Henderson translated every hokku and haiku into a rhymed tercet (a-ba), whereas the Japanese originals never used rhyme. Unlike Yasuda, however, he recognized that 17 syllables in English are generally longer than the 17 on of a traditional Japanese haiku. Because the normal modes of English poetry depend on accentual meter rather than on syllabics, Henderson chose to emphasize the order of events and images in the originals. Nevertheless, many of Henderson's translations were in the five-seven-five pattern. The first haiku written in English was arguably by Ezra Pound, In a Station of the Metro, published in 1913. Since then, the haiku has become a fairly popular form among English-speaking poets. English haiku can follow the traditional Japanese rules, but are frequently less strict, particularly concerning the number of syllables and subject matter. The loosening of traditional standards has resulted in the term "haiku" being applied to brief English-language poems such as "mathemaku" and other kinds of pseudohaiku. Some sources claim that this is justified by the blurring of definitional boundaries in Japan. Subsequent to Paul-Louis Couchoud’s popularisation of the form in France through his essays and translations, the next major haiku collection to appear there was the sequence of war poems by Julien Vocance, Cent visions de guerre (1916). Later haiku by him were included among the work of the twelve published together in the Nouvelle Revue Française (No. 84, September 1920), among whom was the young Paul Éluard. This was followed by the anthology Le Haïkaï Français in 1923. In Spain, several prominent poets experimented with haiku, including Joan Alcover, Antonio Machado, Juan Ramón Jiménez and Luis Cernuda. Federico García Lorca also experimented with and learned conciseness from the form while still a student in 1921. The most persistent, however, was Isaac del Vando, whose La Sombrilla Japonesa (1924) went through several editions. The form was also used in Catalan by the avant-garde writers Josep Maria Junoy (1885–1955) and Joan Salvat-Papasseit, by the latter notably in his sequence Vibracions (1921). The Mexican poet José Juan Tablada is credited with popularising haiku in his country, reinforced by the publication of two collections composed entirely in that form: Un dia (1919), and El jarro de flores (1922). In the introduction to the latter, Tablada noted that two young Mexicans, Rafael Lozano and Carlos Gutiérrez Cruz, had also begun writing them. They were followed soon after by Carlos Pellicer, Xavier Villaurrutia, and by Jaime Torres Bodet in his collection Biombo (1925). Much later, Octavio Paz included many haiku in Piedras Sueltas (1955). Elsewhere the Ecuadorian poet and diplomat Jorge Carrera Andrade included haiku among the 31 poems contained in Microgramas (Tokio 1940) and the Argentine Jorge Luis Borges in the collection La cifra (1981). In Lusophone (Portuguese-speaking) Brazil, after several early false starts, including a collection of 56 by Waldomiro Siqueira Jr. (1912–?) in his Haikais (São Paulo 1933), the form was popularised by Guilherme de Almeida, first through his 1937 magazine article "Os Meus Haicais" and then in his collection Poesia Vária (1947).. Since Modernism, several anthologies of Brazilian haikai have been published. In 1992 Nobel laureate Czesław Miłosz published the volume Haiku in which he translated from English to Polish haiku of Japanese masters and American and Canadian contemporary haiku authors. The former president of the European Council, Herman Van Rompuy, is a haijin (俳人, haiku poets) and known as "Haiku Herman." He published a book of haiku in April 2010. In the early 20th century, Nobel laureate Rabindranath Tagore composed haiku in Bengali. He also translated some from Japanese. In Gujarati, Jhinabhai Desai 'Sneharashmi' popularized haiku and remained a popular haiku writer. In February 2008, the World Haiku Festival was held in Bangalore, gathering haijin from all over India and Bangladesh, as well as from Europe and the United States. In South Asia, some other poets also write Haiku from time to time, most notably including the Pakistani poet Omer Tarin, who is also active in the movement for global nuclear disarmament and some of his 'Hiroshima Haiku' have been read at various peace conferences in Japan and the UK. ^ Yamada-Bochynek, Yoriko (1985). Haiku East and West. Bochum: Universitatsverlag Brockmeyer. p. 255. ISBN 978-3883394046. ^ Hiraga, Masako K. (1999). "Rough Sea and the Milky Way: 'Blending' in a Haiku Text," in Computation for Metaphors, Analogy, and Agents, ed. Chrystopher L. Nehaniv. Berlin: Springer. p. 27. ISBN 978-3540659594. ^ "Haiku: Poetic Form". poets.org. March 1, 2016. Retrieved April 20, 2019. As the form has evolved, many of these rules—including the 5/7/5 practice—have been routinely broken. ^ Sterba, Carmen. "Thoughts on Juxtaposition". Simply Haiku: A Quarterly Journal of Japanese Short Form Poetry. Simply Haiku. Retrieved 9 April 2013. ^ Vásquez Rocca, Adolfo (January 2005). "Lógica paraconsistente, mundos posibles y ficciones narrativas" (PDF). A Parte Rei (in Spanish) (37): 8. Retrieved 28 June 2018. ^ Shirane, Haruo (2004). Early Modern Japanese Literature: An Anthology, 1600-1900. Columbia University Press. p. 521. ISBN 978-0-231-10991-8. ^ Brief Notes on "Kire-ji" Archived 2009-08-27 at the Wayback Machine, Association of Japanese Classical Haiku. Retrieved 2008-10-16. ^ Works of Basho, Winter on Iga and Basho ict.ne.jp website. ^ Works of Basho, Summer on Iga and Basho ict.ne.jp website. ^ "Issa archive". Haikuguy.com. Retrieved 2012-01-06. ^ Earl Miner, Japanese Linked Poetry. Princeton University Press, 1980. ISBN 0-691-01368-3 pbk. ^ Georges C. Friendenkraft, "Style and Spirit in French Haikus"
^ Rosa Clement, "A history of Brazilian haiku"
^ "Herman Van Rompuy publishes haiku poems". Telegraph.co.uk. 16 April 2010. ^ "EU's "Haiku Herman" launches first poetry book". Reuters. April 15, 2010. ^ Charter, David (April 16, 2010). "'Haiku Herman' Van Rompuy: poet, president and fish out of water". London: Times Online. ^ Article on Sneh Rashmi on website of Gujarati Sahitya Parishad (Gujarati Literary Council). In it, we read: "જાપાની કાવ્યપ્રકાર હાઈકુને ગુજરાતીમાં સુપ્રતિષ્ઠિત કરી તેમણે ઐતિહાસિક પ્રદાન કર્યું છે" ("By pioneering and popularizing the famous form of Japanese poetry called Haiku in Gujarati, he has gained a place in history"). ^ "Special Feature on India — Part One: World Haiku Festival in India. 23-25 February 2008, The Art of Living Ashram, Bangalore, India". World Haiku Review. 6: 1. March 2008. Wikimedia Commons has media related to Haiku (poetry). Haiku for People in North America and beyond Online Haiku page curated by Kevin McLaughlin, Haiku Editor of "Better Than Starbucks - not your ordinary poetry magazine"